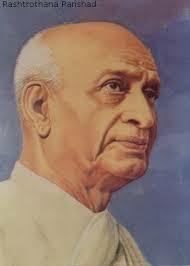 The Government has decided to observe the birth anniversary of Sardar Vallabhbhai Patel as the ‘Rashtriya Ekta Diwas’ (National Unity Day) on 31st October every year. This occasion will provide an opportunity to re-affirm the inherent strength and resilience of our nation to withstand the actual and potential threats to the unity, integrity and security of our country. All the Government Offices, Public Sector Undertakings and other Public Institutions will arrange a pledge taking ceremony to observe the Rashtriya Ekta Diwas. The Ministry of Human Resource Development has been requested to issue suitable instructions that the students of Schools and Colleges may be administered the Rashtriya Ekta Diwas Pledge to motivate them to strive to maintain the unity and integrity of the country. All Ministries/Departments of the Government of India and all the State Governments/Administrators of all the Union Territories have been requested to organize appropriate programmes on the occasion in a befitting manner, including the ‘Pledge-taking Ceremony’, ‘Run for Unity’ involving people from all sections of society, March-Past in the evening by the Police, the Central Armed Police Forces and other organizations like the National Cadet Corps (NCC), National Service Scheme (NSS), Scouts and Guides, Home Guards etc. This entry was posted in news and tagged Rashtriya Ekta Diwas on 31st October. Bookmark the permalink.